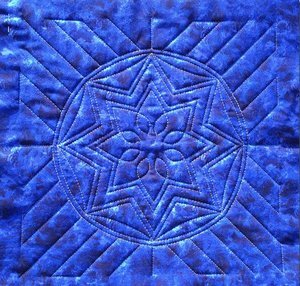 The quilted star pattern was created by Leonie West of Westalee Designs. This quilting block pattern is sure to amaze you and your customers in the ability of the templates on your home machine. I have always had a very positive experience when I have ordered from Allbrands. Keep up the good job ! I did a lot of searching for the items I wanted, so glad your business name came up for the Westalee ruler set. Your price was the best by far. I plan on purchasing more items from you. Thank you so much. I have let many of my friends that quilt about you and the better prices you have but still great quality. That is important when on a tight budget. Love the book. Enjoyed the pictures and instructions. I love the variety of quilting rulers available on your site, I will definitely order from you again. I am very satisfied with the products I have received from your company. I plan to collect more rulers as well as threads etc in the coming future. Very pleased.